In her book and I shall have some peace there, Margaret Roach tells a story of self-awareness when she took a week off to garden at her then weekend home in upstate New York. Her two friends from Seattle, fabulous gardeners–Charles and Glenn, were there to help her. As she was working in one part of the yard, she looked over and saw Charles whacking away at her Hylemecon Japonicum, a plant she had nurtured and watched over for ten years, an unusual find at a Wildflower Society Sale in New England. She was DEVASTATED, which probably showed in the volume of her voice and the things she said to Charles at the time. She just could not imagine her plant not being right there where she’d planted it, growing back each spring after curling up and lying dormant underground each winter. It looks dead each winter, but really it’s not. But there’s a happy ending. 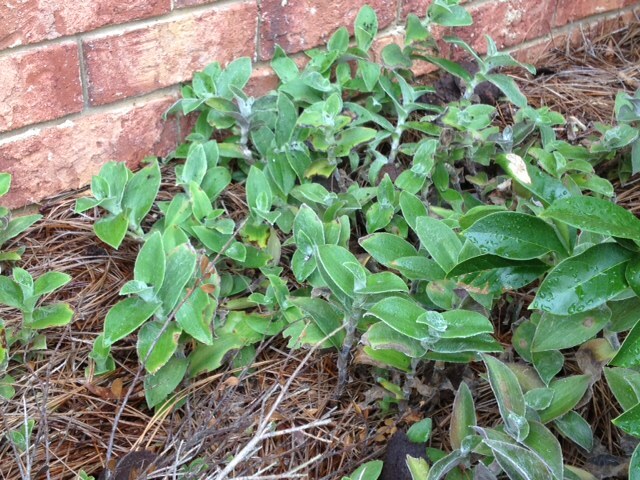 The next April, and each spring after, Ms. Roach’s yard was literally blanketed in this precious plant. There is great joy and reminder in the sight of all that has come from the chopping up of her plant. I thought about this a couple of days ago when I planted our new butterfly bushes. 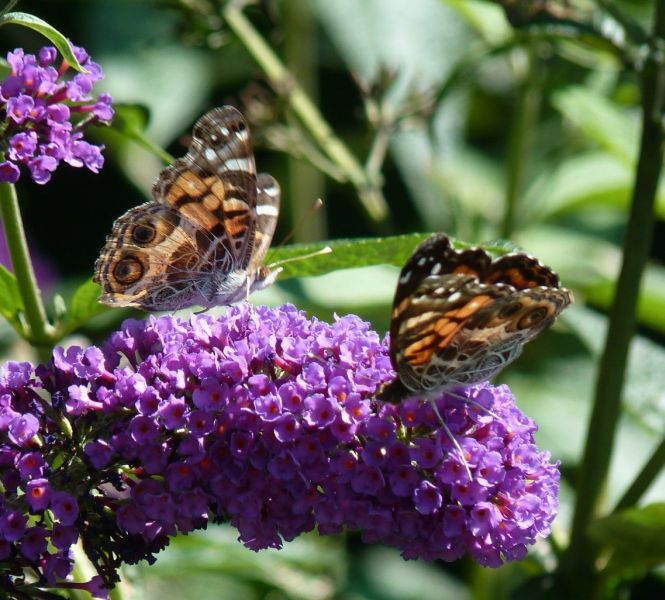 I remember the first time I pulled up at Mama and Daddy’s house and saw the butterfly bushes I’d given Daddy–the ones that had been THRIVING–were cut back to almost nothingness. Oh my word, who had lost their mind and WHY? Daddy explained to me that this was so they would grow even stronger the next spring. And he was right. I grew up around peaches, and they were a big part of my life at one point. It was so hard to watch the trees being pruned and to fear that the ones who wielded the pruning shears would not be careful enough. But it was for the better growth of the trees. The Lantana Daddy kept by the air conditioner unit outside is the same way. Roses too. Cut them back in winter, they’ll grow back in the spring. 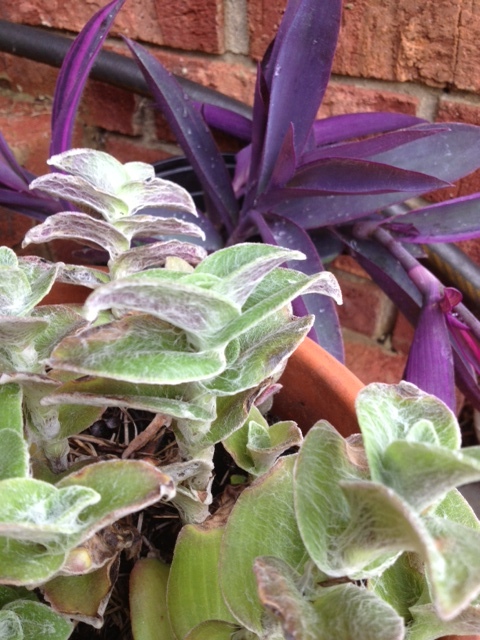 My Hairy Wandering Jew and the purple behind it–all gifts from my gardening friend and waiting to be put in the ground to grow and thrive. Devastated doesn’t even begin to cut it. Mad. Upset. Hurt. Check, check, and check. As I stood over the delicate tendrils of my little plant–all whacked to pieces and lying limply in the soil, I cried and reached down. I didn’t have it in me to throw the pieces out. I covered them in pinestraw and walked away. Heartbroken. I know, it’s just a plant, but it meant something to me because of the love and care of a friend that it represented. And because it was something I was helping to live. That was huge. 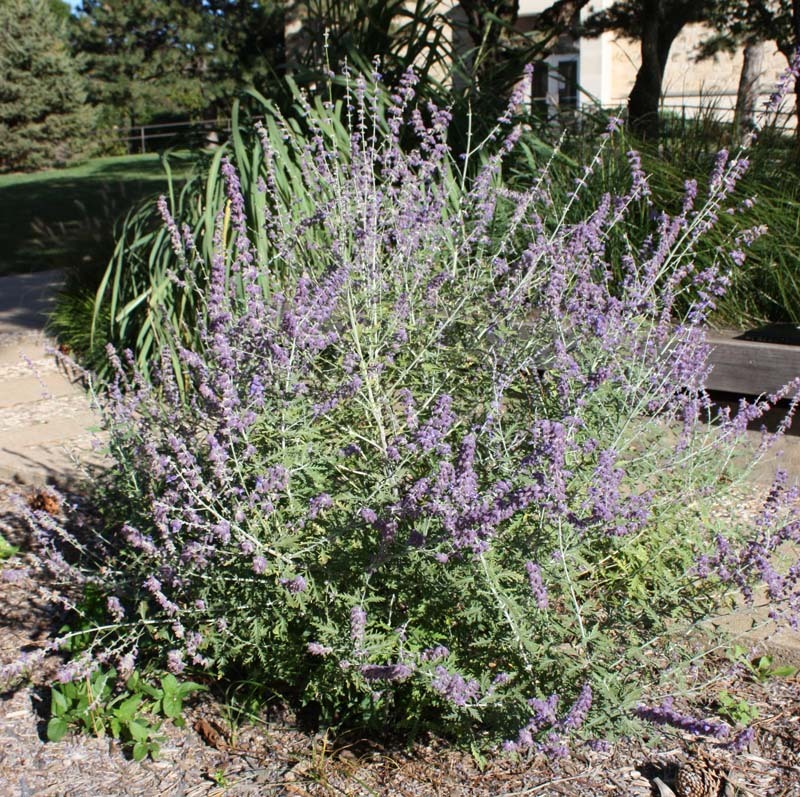 I had no idea that these plants have the amazing ability to come back, like roses and butterfly bushes and peaches. And so much else in our world. Maybe even–me? Today I was out repotting some of my herbs and cacti, and I looked over at that flower bed and smiled. Because instead of the one little cluster of Hairy Wandering Jew, there is a great spread of them. Growing and thriving. Determined. Beautiful. My little plant, before all broken apart, now growing and spreading and thriving. It is mind-blowing to me that what looks like death, like THE END, only serves to strengthen the growth when the dormant period is over. The idea that brokenness can not only be mended but actually fosters more growth than before. Mind. Blown. It defies logic. C’mon, this is amazing stuff, right? 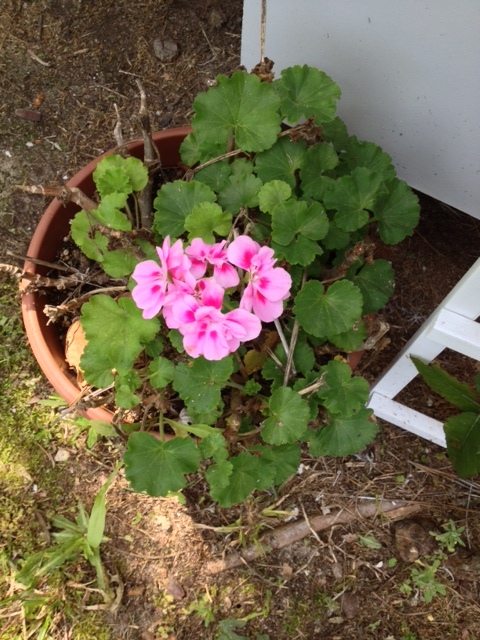 Last year I gave Mama a pink geranium for Mother’s Day. She loved it. Unfortunately between her HospitalStay last August and then the horrible one in January-February, we didn’t take very good care of it. I’ll just say it–we let it die. 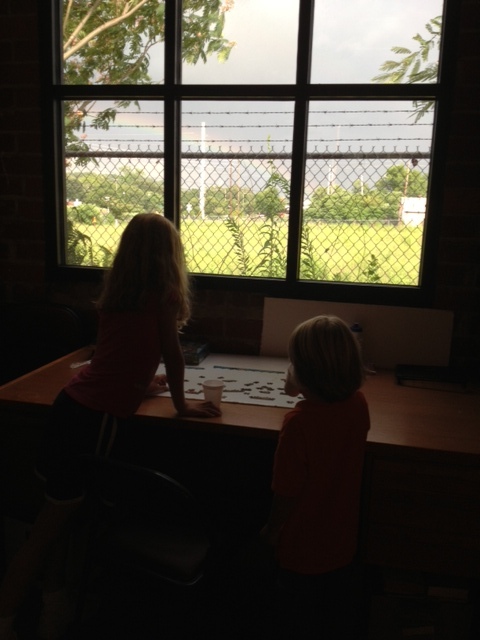 Our minds were on other things besides watering and pruning and the like. At the beginning of spring, I was over at the house taking care of a few things, and I noticed a tiny bit of green in the abandoned pot sitting over by the edge of the back porch steps. Surely not. But I moved it to sit against Daddy’s building–it would get sun but not a lot, and maybe a little more rain than normal from what would run off the roof. I was not going to be able to water it regularly. Taking her from her home did not enter my mind, oddly enough. And look at her go now! Mama’s geranium coming back full force after a winter of me thinking it was gone. I may be oversimplifying things, but I find comfort in knowing that that which is broken, that which appears to be without life can actually be getting ready to grow better than ever before. I know what brokenness feels like from the inside out. Most of us do. I know what dormancy is like. I often have those days now. Call me silly, but I look at these plants, these flowers, and knowing what they looked like just a few months ago, I find a bit of peace and some hope to cling to. Maybe, just maybe, all the raw brokenness inside and all that which seems dead will, after a time of dormancy, be ready to grow again. Ready to grow and spread all that was planted inside of me by my Mama and Daddy–seeds of loving unconditionally, seeking justice, fighting for what’s right, walking away from what’s not, and just being there for each other. I found this quote today. It speaks to what I’ve been thinking a lot lately. Grief. There’s an odd duck, right? It’s like that friend you had in school you weren’t quite sure why you were friends, but he was always around, so you had to put up with him. And he was so unpredictable. Today you might get along okay, but then tomorrow…..who knows? Well, thank you, Agent Obvious, for scoping out and sharing that in-depth insight. Yes, I know, it is obvious. You’d think none of this would surprise me since I worked with Hospice for over two years, and I learned so much from the precious families I was lucky enough to work with. And yet, yes, I have been surprised. If she were here, Mama would have already washed, ironed, and worn this shirt at least twice since I bought it last week. I bought my Mama a shirt. Is that crazy? It’s even her favorite brand. The thing is, when I was buying it, I thought I was getting it for me. 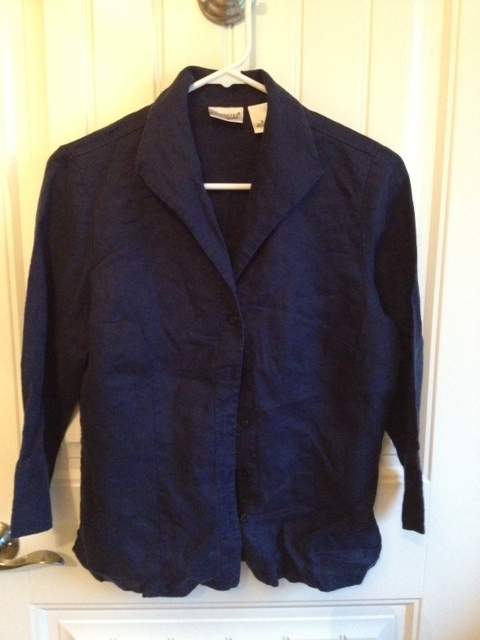 A navy linen shirt for wearing over a sleeveless top or something like that. It was after I washed it and was putting it away that it hit me. If Mama were here, I would have delighted in surprising her with it. She would have loved it. The three-quarter length sleeves were her favorites. I expect she would have worn it with a white top and khaki slacks to the two services and the Sunday School Class she attended at her church each Sunday. And then she would have called to tell me that she’d worn it and how much she’d enjoyed it. She was like that. She loved to tell you when she enjoyed something you’d given her. Don’t get me wrong–if she didn’t care for it, I knew that too. But over the years, especially in the past four since Daddy got so sick, I’ve gotten better at shopping for her. And now less so for myself, I guess. I look at this shirt and wonder if I’ll ever wear it. And yet, I don’t think I can get give it away just yet. And then yesterday at our favorite Used Bookstore, I picked up this book. 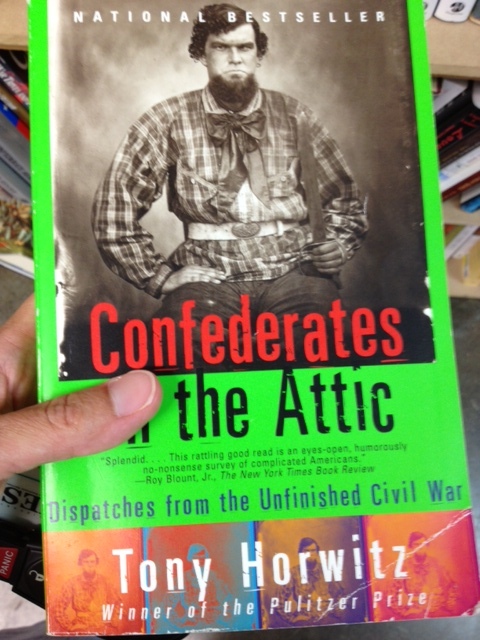 Confederates in the Attic by Tony Horwitz. I think Daddy might have enjoyed reading this. I did stop short of buying it after it hit me that I was looking at it with Daddy in mind. He was an eclectic reader; he liked different sorts of books, and this one for sure sounded like an interesting read. I put it back gingerly, almost patting it in place. Maybe one day I will read it, but without Daddy to talk about it with, I just don’t know. I’ve been surprised on this journey of loss and grief on more than one occasion. Like my first time at the grocery store after Daddy died. I wandered through somewhat aimlessly and then, going down the sugar aisle, saw some candy that I knew he would love. I reached for it and then I remembered. Or my first time in Target after Mama passed. I had been on a mission to find her a new pair of khaki slacks for quite a while. As I headed back to pick up what I had come for, I found myself detouring to look for the pants. And again, I remembered. Surprised. I don’t know why our hearts and brains work the way they do, but I find it fascinating that they both can be taken by surprise regarding something I KNOW. But I’ve also been surprised in good ways. Surprised by how close I feel to them at times. Like they are right there in the moment. Usually it’s when I’m in my car by myself, which is not often. Once I found myself replying to what I knew Mama had/would have said in that moment. (That was interesting for anyone around, I’m sure–it was quite an animated conversation, as I recall.) I also feel close to Daddy when I’m planting or with one of the animals or just outside at all. I feel close to Mama at her kitchen table. Or when I’m reading. Sometimes *whispering* it feels like they aren’t even gone at all. I’ve been surprised by laughter. When my Daddy first went in the hospital I told my brother that I would not be able to breathe if anything happened to Daddy. Some days it’s hard to take one breath after another, but then others, the laughter comes easily. And hard. And often. And I know he would like that. I’ve been surprised that I can function. That I can cook the meals and wash the clothes. TCB’ing, Mama called it, short for taking care of business. It is when I actually finish doing something, like getting all the clothes washed and put away (before the ones they’re wearing are ready for washing), that I think YES! and know she would be cheering alongside me. When I actually clean the floors and mop, and I would have called her to hear her say, “Well don’t you feel sanctimonious!”, that’s when I smile. I know she’s still cheering me on. I can feel it. P.S. If you want to lie down beside your daddy’s headstone, go for it. Just be careful of the fire ants. I love her and her wisdom, this aunt of mine, who has had more to mourn than most. She made me laugh. On my very next trip to the quiet little country church cemetery, as I was standing there talking to Daddy and crying and pouring the eight gallons of water from Blackberry Flats over the little tree, I felt a bite. On my toe. Great. I stopped crying long enough to check for more ants. Seeing none, I went back to my emotional breakdown, talking and crying and pouring, letting out all of the storm raging within. Then *ouch* a second bite. I am reminded of Mama’s favorite verses from the Good Book. I guess what my aunt and those ants (the irony here is not lost on me) were trying to tell me is there is a time to grieve and break down, and a time to build yourself up, move through it, and take care of business. Now I just have to work on figuring out which is when. Preferably without any help from those ants. 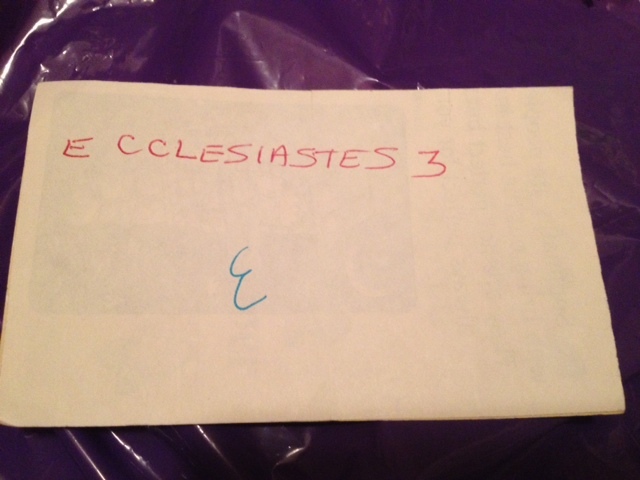 Mama wrote this on the back of one of her Mary Engelbreit Page a Day calendar pages she used for note paper. She handed it to me to remind me to read it. I carry it with me in my wallet always. I am finally starting to get what she was trying to tell me. Thank you, Mama. It was so hot that day. September can be like that in Georgia, and that day in 2009 was no different. Especially on the roof of the parking deck at Emory Hospital in Atlanta. I had walked all the way to the elevator, taken it down, and was on my way into the hospital when I remembered. I’d forgotten them. 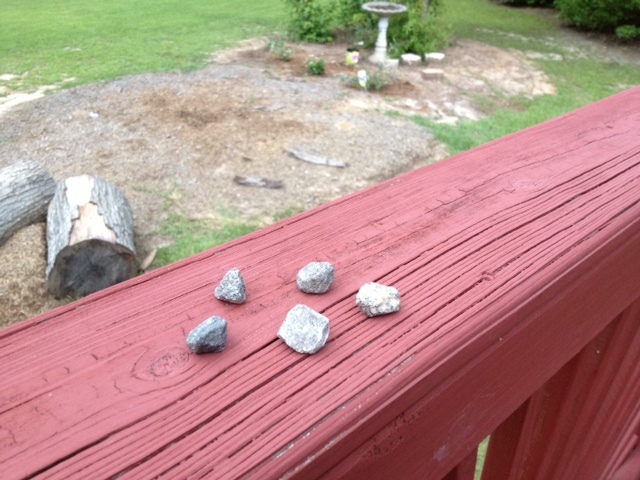 The rocks I took to Daddy when he was at Emory–in the background are our newly planted butterfly bushes and lantana, it all makes me think of him. He taught me to use a shovel and dig a hole for planting, and he got me the birdbath and set it up right there. The rocks I’d brought him. From home. Blackberry Flats. Just a day or two before, I’d been at their house checking on things. As I pulled out of the dirt driveway, I remembered I wanted to take him rocks from home. So I put the car in park, hit the hazard lights, and got out to pick up five rocks from the gravel they’d brought in to level out the ruts in the drive. Five rocks. I’d read that five was the number of rocks David had when he went to fight Goliath (1 Samuel 17:40). Daddy was definitely in a fight for his life against some kind of Giant. I figured he needed all the fighting power he could get. Over the next two years, Daddy and I would have some interesting conversations about David. “A man after God’s own heart.” How did that even happen? Have you heard what he did? What he was capable of? Wow. It must be hard, when you’ve lived your life doing pretty much as you should (there was that one story about the rabbit tobacco) and then some, and you find yourself fighting something that is hard to fully comprehend, it must be really hard then to hear a story about someone who did some pretty awful things and yet found “God’s favor.” I’m just sayin’. But that day in September of 2009, I made the trek back to my Blazer, refusing to hear the “Oh, just leave them, you can take them to him next time” echoing in my head. The “what if there’s not a next time” conversations were much, much louder. Always. Those words pretty much ruled my actions, plans, and routines for the next two years. And I don’t regret it at all. And he did fight it. For a long time. After Daddy died in November 2011, Mama gave me the rocks, placed safely in one of those plastic bags the newspapers come in on rainy days. I brought them home and tucked them in a drawer, unable to bear even holding them in my hands. A few days ago, I found them and they made me smile. Daddy walked around the hall 8 times today! I asked Mama if he did it because he felt like it or if it made him feel better. She said neither. He just did it because they want him to, it helps keep things circulating, and because, though he’s very tired, he’s in this fight. Rock 1–Persevere. Even when you don’t feel like it. 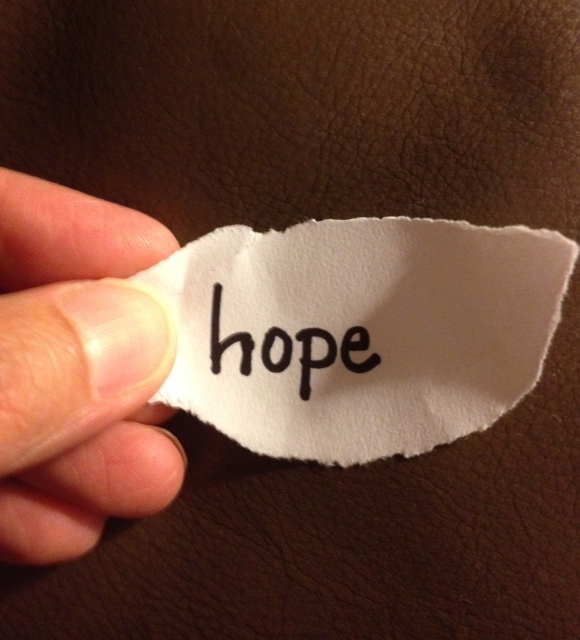 Rock 2–Hope. That was Daddy’s rule. Do not borrow trouble. Whether it was anticipating rain or worrying over the surgery to do his brain biopsy, we were not to borrow trouble. I have many days I have to remind myself of that rule. MANY. One of my aunts said, “Well, that’s your Daddy for you–he’s usually in rare form.” We’re not immune to laughter around here. When Daddy finally made it home after over a month at Emory, he walked in the back door of his house to find me and the crew there waiting (like one hungry dog does another–ahem) to eat pizza with him. They had not seen him at all during his time at Emory. It was such a precious homecoming. My little guy looked up, mouth full of pizza, and in one of the most anticlimactic moments ever, said, “Hey Cap!” with a big cheesy grin. Daddy stopped for a second, looked at him, smiled just as big, and said, “Hey, Cooter!” Happiness abounded. Rock 4–Treasure the little things. From katydids on dahlias to baby girls looking for Mustangs to little guys driving Matchbox cars around the hospital bed rails. Find joy in every moment you can. Rock 5–Give up. 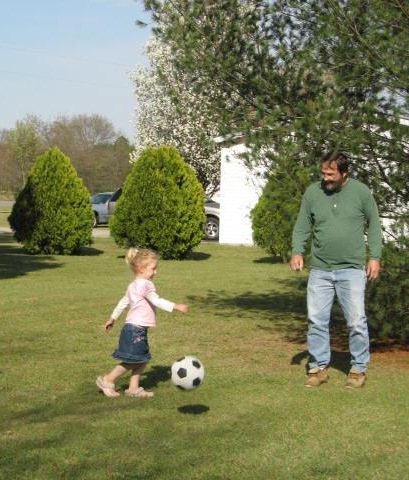 In his lifetime and especially after his diagnosis, Daddy gave up a lot. Prejudices, expectations, dreams, plans. And so much more. In giving up, Daddy showed us how to fight the Giant with dignity and hope and peace, rather than with the anger and bitterness that could have just as easily taken over our lives. So I think I’ll put these rocks out where I can see them. And treasure memories of my Daddy who loved and lived for others, especially his family. And remember the lessons he taught us as he fought to slay the Giant and prepared to say goodbye. Because the Giant didn’t win. It might have beaten his body but it never conquered his spirit. With each rock Daddy threw–persevering, staying hopeful, all that wonderful laughter, treasuring the stories and time with those he loved, and giving up the script he might have written for himself–with each rock–he kept that Giant from taking over his mind, his heart, and his spirit. And for that, I’ll always be thankful. Where are the Channel Changers? A few nights ago my neighbors and I were visiting in our backyard while our children played for a few minutes before heading in for baths and bed. 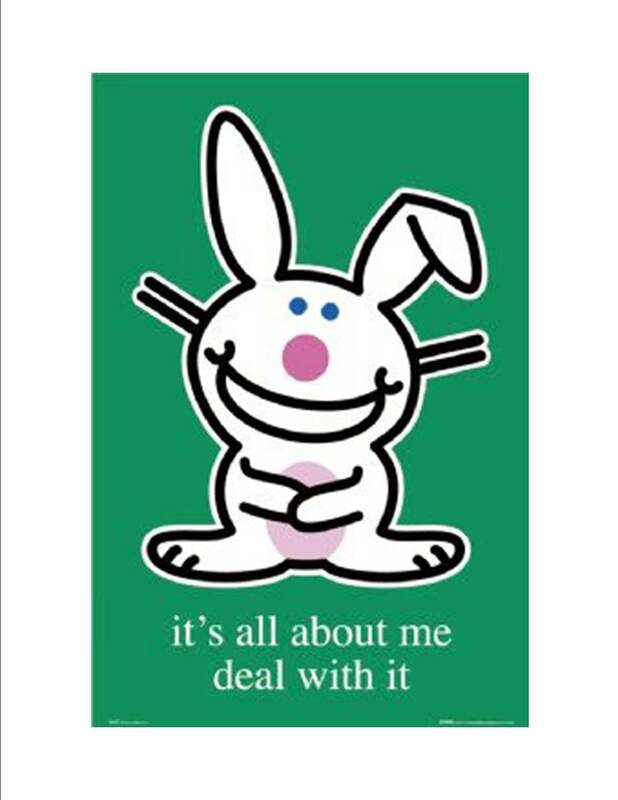 The husband and I somehow got into a conversation about who had it “harder” growing up, while his wife stood back and laughed. “Y’all sound like a couple of old folks,” she said. Things like when we got a color TV, how old we were when we first had central heat and air, and such as that. It made me laugh to think about how different my own growing up was compared to what my children will remember. We had baseboard heaters and an attic fan that pulled cool air through the windows–only if there was a storm you couldn’t use it because it would pull in rain too. I was in high school before we had color TV or a VCR or a computer. Our first computer was a TI-99/4A that hooked up to a tv–yep, a little black and white. I was SO excited when we got it. Wow. Little did I know where that kind of technology was headed. Today what used to be huge bag phones are really pocket-sized computers, cameras, and boom boxes all rolled into one “smart” phone. Amazing. I think what we laughed the hardest over was our televisions and how we changed the channel. This was back in the day before television remotes. Hush your mouth, you mean there ever was a time such as that? There sure was. Hard times. You had to get up and WALK TO THE TV to change the channel or the volume. I think I was grown and married before I saw a remote for a TV. My friend said that he and his sisters sat just far enough away that they could still turn the dial for changing the channel with their feet. Usually his older sister, the tallest of the bunch, was elected to do it. I love the picture of them scooching across the floor until just close enough to use their feet to operate the television. Too funny. Because this is how we changed the channel at my house. Say what? Pliers? Noooooo, those are channel changers. To this day, that is what my family calls them. See, the plastic dial on the TV that you gripped and turned had broken off of our old black and white set, leaving only a metal stick-shaped piece jutting out. Being the good steward he was, Daddy figured out everything still worked perfectly well if we took the channel changers, gripped the metal piece and turned. Voila! Perfection. The only problem was when those blame things had been carried off to be used for something other than their intended purpose–changing the channel. (And this was not a job you could do with your fingers–believe me, I tried.) That was when whoever was trying to watch something different could be heard calling from the living room–“Where are the CHANNEL CHANGERS?!?!! !” Well, that and you never knew what channel it was on until you sat and watched for a few minutes. Oh, and that was the other thing, we only had one television set. In the whole house. The thing I love about my conversation with my friend is that we both were acting as though we had it SO hard growing up. And maybe by the standards of some, we did, but I don’t think either one of us thought we had it hard when we were living it. It was just the way it was. And life was pretty doggone good. Tonight I’m thankful for great friends and laughing over the past together. I give thanks for my resourceful Daddy who could fix just about anything. He taught me to see beyond something’s prescribed purpose and be a problem solver. Though I may not know where the screwdriver or hammer got off to, and even though I don’t need them for that purpose anymore, I always keep the channel changers handy. Because you just never know.